We are a small family of wife and husband – both basketmaker, three kids and two cats. 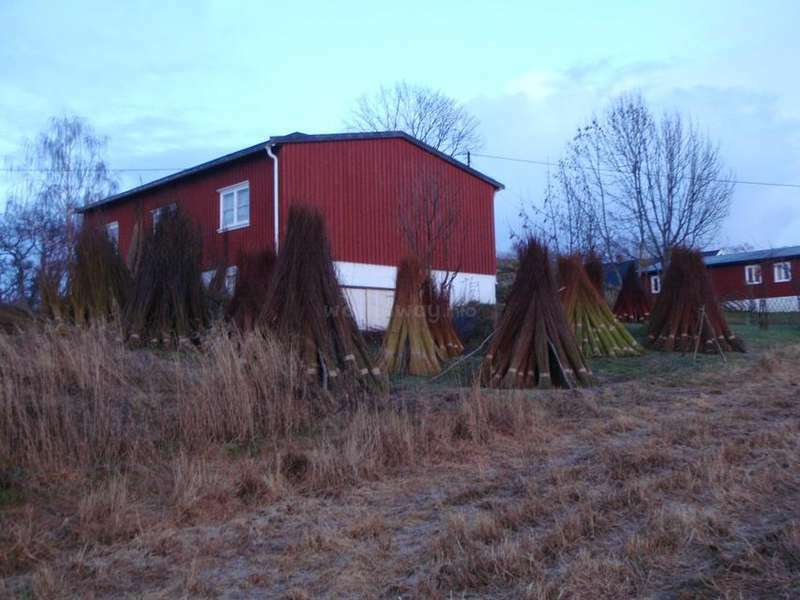 We have been growing willow on a small island centrally located in the southern part of Norway for more than 10 years. Our willow-field is 6 dekar and consist of approximately 60.000 mother-plants and produce estimated 10-15 tons of ecological willow every year. The willow is harvested in november/december and in February/march - if weather condition allows us to do so (not too much snow). After being harvest, the willow is sorted into length and quality. For our baskets we use many different natural materials, that we harvest in the forest. You will be a part of the harvest and preparations of this materials. If time is right, you can learn some handicraft, and maybe make some small items of willow. Our house is a small wooden house with just enough space for us all. You will have your own room, but you might have to share with another volunteer. We are three people in our family, and you are most welcome to be a part of that. Making food, doing housecleaning and normal everyday stuff. You will help us 5 days a week, approximately 5 hours a day, with a long lunchbreak in the middle of the day. We are probably working more hours, depending on our ongoing projects - however you are of course, most welcome to join us in the workshop in the evenings. 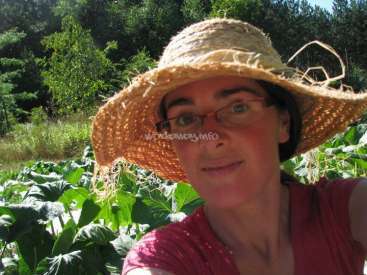 You will learn how island farming life is. How basketmakers live and work. if you want there are craft and art to be learned. I hope you send us a request. But take this in to consideration when you write to us. We do get a lot of requests and we try to answer back ASAP. I expect you to do the same. Unfortunately all my email from Workaway webpage does not come to my email. I don't check the mail on this webpage daily. If I dont answer you this is why. We will try to answer right away. It takes a lot of time to answering e-mails, and we try to put together a group of people. It can be challenging to put together a calendar that works for us all. What we would like is for you to give us a defined answer when you want to come, and when you want to leave. And even more important to stick to the plan. If you don’t have a plan, ask us when we are free to host you. Then we can see if the time is right for both of us. If we accept your request remember to tell us if you change your plan. The next half year will be a little different than others. Silja is a full time student in the university, and Lars is part time living in Norway, part time living in Denmark. This means we will trust you to be reasonably independent, as we will not spend so much time in the workshop at we like. 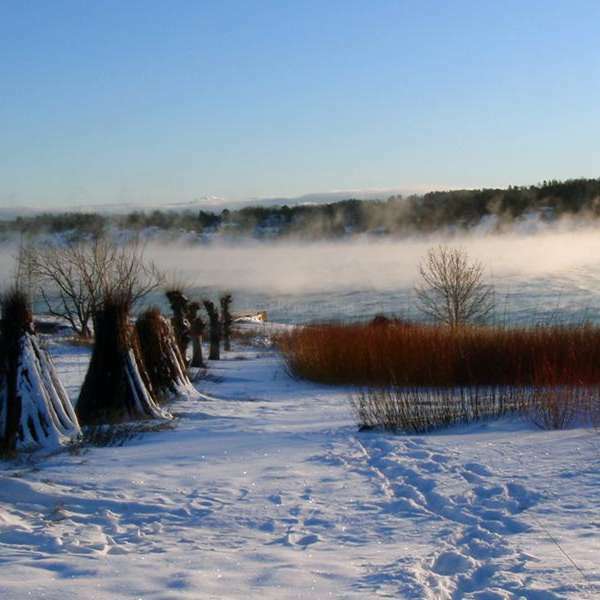 This winter we will harvest and sort the willow from the middle of januar. If you are up to some fresh Norwegian winter and like to be active we would like to welcome you to our beautiful island. We are starting to make short tutorial videos of our basketmaking and other projects. Do you have good experience in filmmaking, photo, video editing, drawing in photoshop etc, graphic design and other skills in that directions, please contact us if you like to help us with this project. We are both professional basketmakers, and our income is from teaching baketclases. If you want to attend one of them, you pay the fee or you pay with extra hours of work. If you come to us for the basketmaking, it is important that you have done basketry before. Send us some pictures of what you can do. It take about 14 hours to make a basket for a beginner. And a half year, to a year to have good quality products for sale. If you do some crafts in the worktime, it means that we have considered you as a good craftsperson. And you will work alongside us as a independent artisan. We exchange knowledge. But you are free to use the workshop, if we trust you to take care of out tools and machines. If you have a certain skill in arts and crafts we will be happy to exchange knowledge with you. This could be that you can weld, do metalwork, woodwork, blacksmithing, woodturning, draw, paint, sewing, weaving, basketweaving or any other crafts that we didn’t know that we would like to learn. We have a workshop for basketmaking, a leather workshop, woodworking hand tools and machines, a smithy and a metal-workshop, a little tannary. We also do plant-dyeing, tablet-weaving, spinning wool, felting etc. 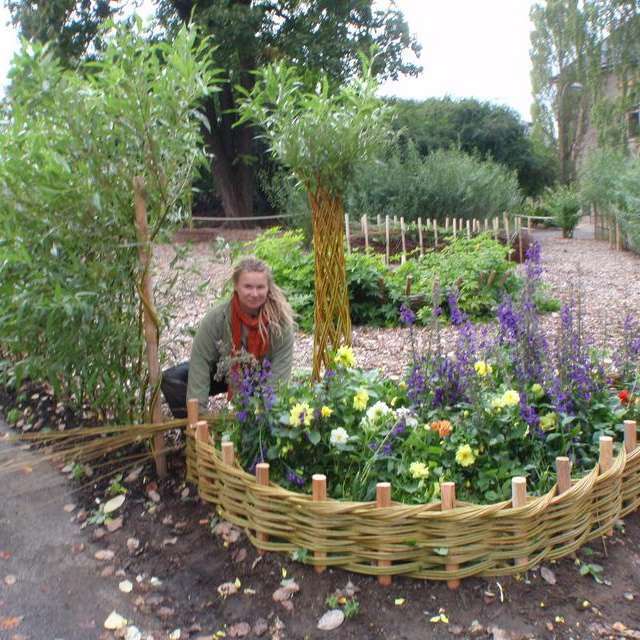 But we always welcome other people with other skills to, and here are some of our projects. JANUARY - FEBRUARY: Sorting the willow is our main tasks in january and harvesting willow if not too much snow. Working in the workshop making baskets. If the winter is not too heavy we harvest in the forest. APRIL - may: Sending gods, making willow projects in gardens. Preparing for garden-markets, and giving classes. Preparing natural materials for basketmaking. MAY and JUNE we will harvest natural material in the forrest. Peeling willow, and taking care of the garden. If you like outdoor work, and beeing in the natur you are welcome. Taking care of the willow-field. Planting new willow. JUNE: Harvesting materials in the forest and lakes. Maybe making food on a small festivals to. JULY: CLOSED see specific above. 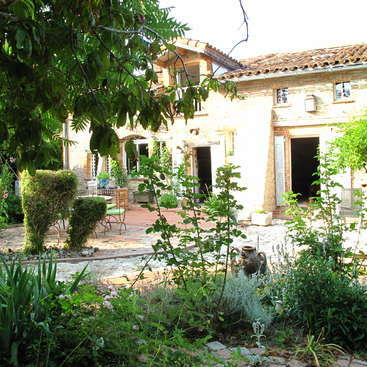 To fully learn a little bit of handicrafts and the willow , is best if you stay for at least two or three weeks. It is best for both you and us, if you also know that you enjoy and are capable of doing stuff with your hands. - Cleaning, tanning and softening fish skins. We live in a small house on a small island. You will have your own room with a bunkbed to share with other workaways or WWoofers. Always the same gender in one room! In our house lives Silja and Lars - basketmakers and willow growers. 41-46 years. And Ira-17 years’ art student. Two cats. There are 4 more people on the island. You don’t have to bring anything for sleeping, we have all that. We usually cannot accommodate vegans or special diets. Unless you are the chef and take good responsibillity for making and planing the food the period you are here. We are not strict but we do have our habits and liking in the kitchen. If you have food allergy or a disease let us now. And we always make our food from the bottom. If you need special food like a lot of fruit for snack, chocolate, soda, another snack you have to buy this yourself. This goes for alcohol and tobacco also. We will have normal food, and try to make what you also like. 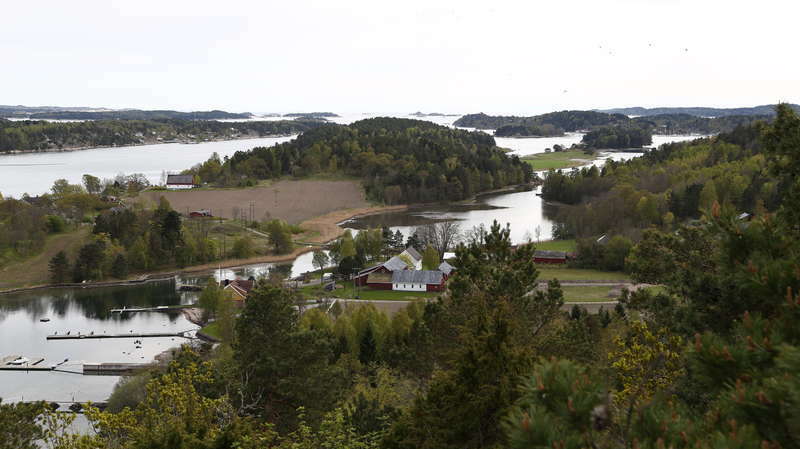 We are situated between Tønsberg and Sandefjord as the two nearest big cities. We have short way to Torp/Sandejord airport, buss, train and other facilities. If you are interested in viking history this is the place to come, as we live near to Gokstad, Oseberg and Borre mounts. If not this are still places that is worth exploring. As we live on an island there is much to see on spot too. Go for a hike, fishing, boat trip, snorkelling, or just enjoy the season of the year. If you have a car, its one hour to the nearest ski senter . We've spent almost three weeks in march at Lars and Silja's. 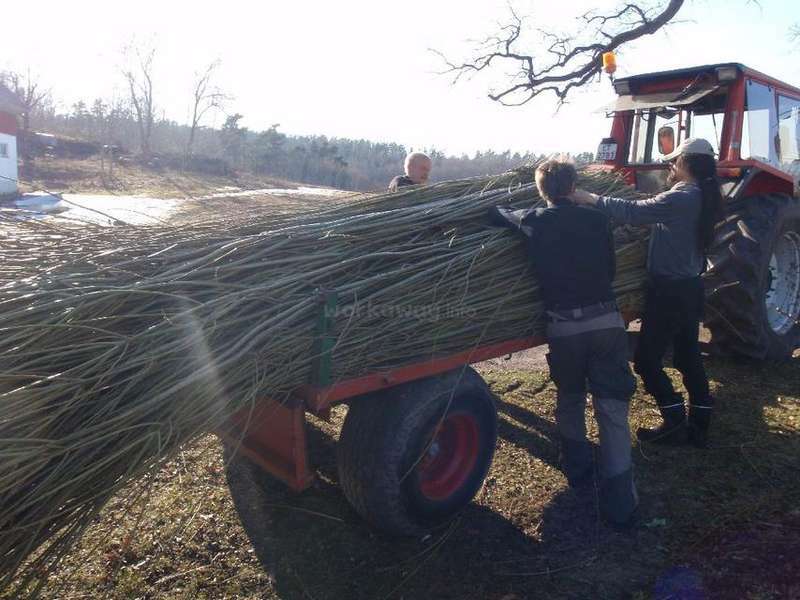 At this time of the year some of the willow needs to be harvested and then sorted: these were our main tasks. Thanks a lot for your hospitality and have a good continuation !! Unfortunately I wasn't able to stay for a longer period but that one week was great! It was everything you might want from a place like that. Delicious interesting food, nice wooden house, welcoming people. I don't know about the other species but the dix willow was really nice to smell and touch. It was really pleasant to zone out and sort it in… read more this quiet, delightful environment. It was a really great and unique experience for me to stay in Silja and Lars’ place, for two weeks. Silja and Lars are wonderful people living a quiet life (except in sorting time) on a beautiful island. They know some much things about craft and cooking, it's amazing ! The island is perfect if you like spending time in the woods, looking for wildlife. Look through the window early in the morning and you will maybe see some deers enjoying grass… read more in the field, or pay attention to the fjord where an osprey come sometimes to catch a fish. If you like crafting, it's also a perfect place for you. There is plenty of tools that you can use and the workshop is a nice place to spend your time off. Thanks a lot for everything, it was a perfect time, but too short ! Samy is a fantastic guy, and he saved us in the most hectic period of the year with the sorting and harvesting of willow. Hi is super to have in the house, and fun company, and a grate artisan, and a grate photographer. I really hope to see you agains some day. I love this girl. Would you pleace come back to me some day. 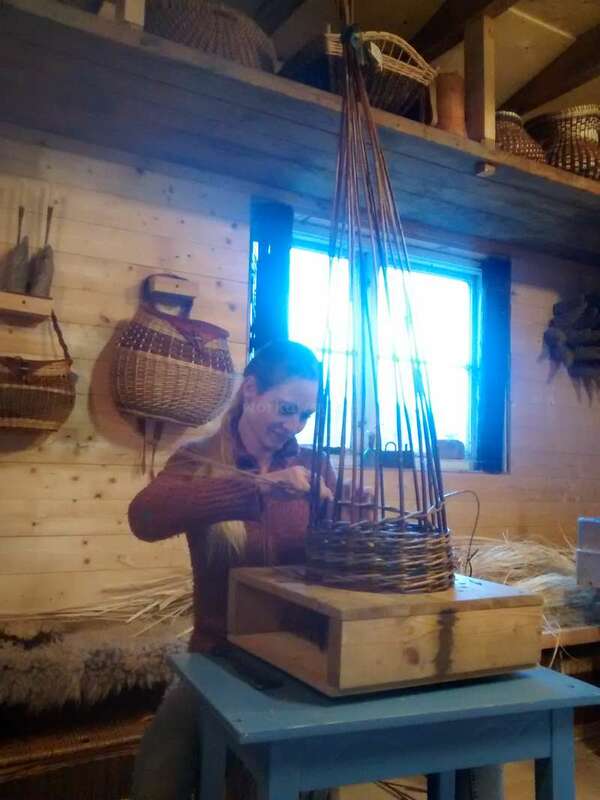 I spent two months with Silja helping to make tutorial videos for her online basket making school, and I fully intend on getting back to Langøya someday to help again in whatever way I can. Silja is a hard worker and expects you to match her level of focus and efficiency. She's juggling a lot of projects, and her strength of character brought out… read more a deep respect and sense of loyalty that allowed me to work at a high quality for a long period of time. That being said, she never asked too much of me, and her cooking and companionship made for a treasured two months of traveling. The island where she and Lars live is utterly enchanting, complete with bronze age burial mounds, sand bars, and lush forests. I went for a walk several times a week and always managed to find something new and magical. Plus the cats are great for a cuddle on cold winter nights! It was fun and hectic to have Georgia staying with us for some weeks. She was here in the most busy time of the year. And I’m very grateful for the work and energy you put into this place. You are fun, sosial and easygoing. Hope to see you again some day. It was fun to have Mona staying with us for some weeks. She is fun, sosial and easygoing. Hope to see you again some day. It was a pleasure to have Pau staying with us. Hi is a openminded, independent and very hard working man. You are welcome back if you want to come to Norway again. Silja and Lars are super interesting and open-hearted people who work hard for their own business. They are both very creative (and incredible chefs!) and it was a lot of fun to learn new things and skills about willow and wood work as well as crafts in general. It was a pleasure for us to adapt to their harmonic down-to-earth way of living and to… read more get to know new ways of thinking. The little island they live on is great for walking and you'll always find new hidden places to explore. We spent 3 great weeks with this lovely family and wish them all the best for their future projects! This girl is amazing. What she can do with the computer in the different drawing programs is also stunning. Im so glad you choose us as a host. And should you want to come back i will definitely set aside more time with you. And teach you some basketry. Thanks for staying with us this two weeks in june. It was fun to host you. And shuld you come back i will gladly host you again. This guy is amazing. He can literally talk about anything an with anybody. Hi is a grate filmmaker, and during his stay he made three supergood small films for us. I hope he will come back to us one day. Omer is a hard working man. we had some fun times during his stay before he went walking in the mountains i Norway. I would love to host you again if you come back to Norway. Jayde came to us in the beginning of March intending to stay for three weeks. Since she is, a tailor I would like to have here make some reenactor cloths for my children. She soon discovered that she liked to stay longer, so we decided we would like to host here all mars and April. And she got back to us in the end of May. She is the sweetest… read more young woman. Funny, hardworking, quiet, determent to learn basket making on her own. It felt like a dater coming and going between other traveling and host. And that suited us fine. It is existing to hear about her traveling around the world. And we would love to host here again. Living with silja & Lars, their lovely daughter irya and two cats was a life changing experience. My first workaway experience which allowed me to grow in many ways which are still unrealised. I know it will hit harder later in time and I'll be able to look back with such fond memories. Silja and Lars are very down to earth and talented crafts… read more people. Extremely generous and welcoming, helped me in many ways that they really didn't have to. It was inspiring to see how they live a fulfilling and simple life- one that involves a small business. All things I aspire to in life , I see it can be done. The work varies in the time of year. 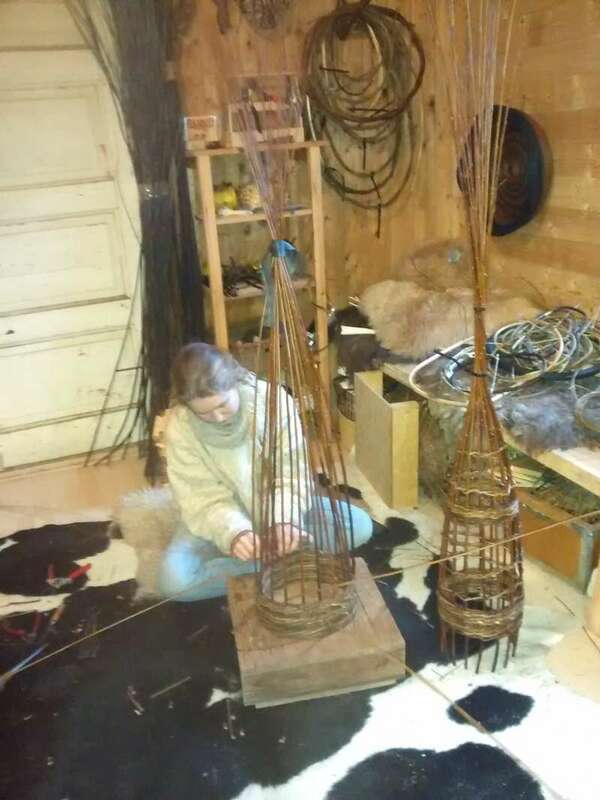 At first it was harvesting and sorting lots of willow and later it was helping to sew some viking clothing- sometimes giving the house a good clean. Whatever it may be it goes appreciated and there is always a nice balance. At times I wondered how I could ever owe these people back for all of their kindness. The only way would be to remember their kindness and try to pass it on, maybe one day to host people myself in the same spirit. Thank you and goodluck with all of your endeavours. The one month I stayed at Silja and Lars´ place was to short for all the things I wanted to do, but it was a great time with great people! Silja and Lars are amazing, interessted in so many things that every day is differet and the work never boring. They are both openminded, kind and just nice to be around with. If you like to work with your… read more hands, are open for new things and want to learn a lot, especially about handcraft, this will be the right place for you. We have had the pleasure of having Amalie living with us in our tiny house and working together with us for one month. This have been a joyful time! Amalie is very interested in crafts and she is very creative. I must say Amalie that everything she gets into her hand turns out very beautiful! 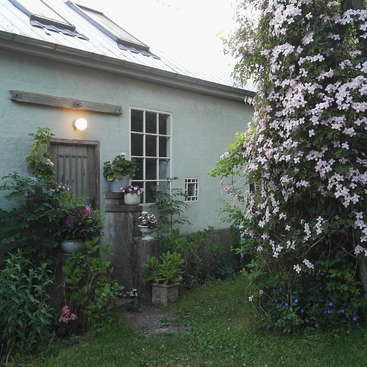 We want to give the very best… read more recommendation for Amalie on her way around Norway. We were very lucky to have Morgane staying in our tiny house. Morgane is very independent and hardworking and she has been doing a great job for us! We can only give Morgan the best recommendations, and we know that her skills with digital design will be appreciated! I really enjoyed my stay in Skovtuen Pil and I recommend this little warm house 1000 times ! My time spent with Silja and Lars was amazing! They are so welcoming and I felt at home as soon as I walked through the, door. I was able toto learn so much about their lifestyle, their farm and how they run daily life on the farm. They are amazing cooks and with the occasional guitar jam and having very interesting books, I never found myself… read more bored or lost. It was very sad to leave when my stay came to an end. I wish you both (and Ira) the best for the future and I can't thank you enough for the experience!! It was a little sad day when Katya left for more adventures on here traveling. And we wish here good luck. She came to us right after Christmas, in the beg of January. The slow season in our farm. But with Katya in the house there were no time for lacy days and tea time. And all the things we got dune with here help. There was not a thing this… read more girl would not learn. And with two crafty hands on my shift we got to produce a lot of my summer-shop. She is a fun, positive, handy, crafty, sweet woman. And a good cook. She has a lot of self-independents in here work. Which means I did not have to follow her every day all the time. She takes responsibility and finish the task, even though the workday is over. Hope to see here again one day. Silja and Lars are wondelful people, and great host! They made me feel at home from the first momet. I enjoyed the work on the farm very much, and learn a lot of new skils. If you are intrested in hand crafts, it is a place for you. The island they are living on is very beautiful and special. It was one of my best expiriences! Babysiting in Rias Baixas, Galicia Spain. Beautiful beaches, islands, rivers, and mountains.